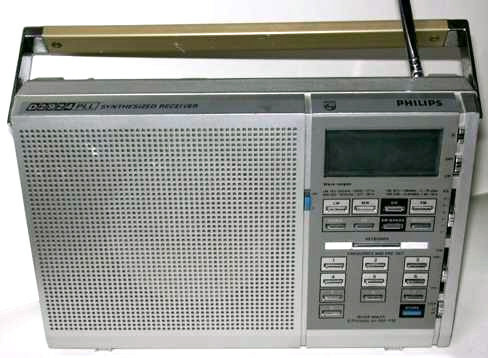 Philips D2924 PLL synthesised single conversion receiver LW, MW, SW 5950-15450 kHz AM, 87,5-108 MHz , FM (VHF). It has a Digital display a Frequency keypad and 6 memories. Powered by 110 - 220 V AC mains or eight 1,5 V 'AA' cells. This set was purchased new in 1984 and cost £54.50. and is still in regular use. I understand that it was first made in 1981.